This grilled lobster recipe from Bryan Webb is a great dish for dinner parties. 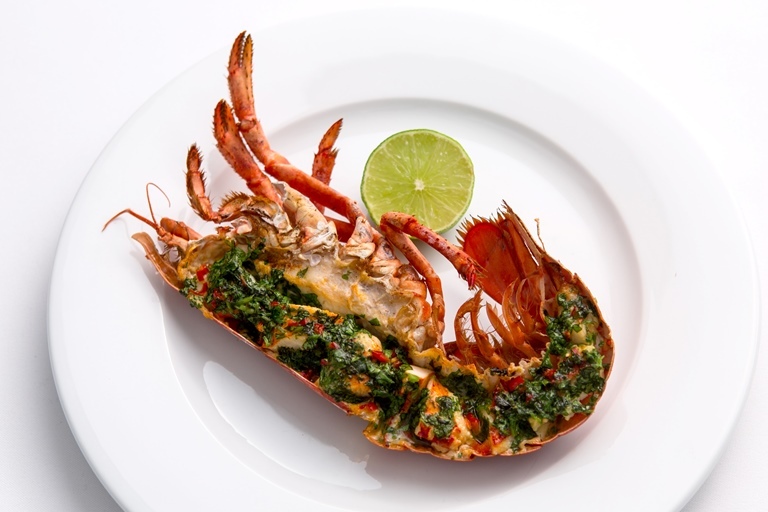 You can start preparing the seafood hours in advance and everyone appreciates the sheer luxury of freshly cooked lobster. Even around the British coast it is rare to see anyone selling live lobsters (though you’ll see lobster pots aplenty in the seaside towns), so ask your local fishmongers – they should be able to supply you with some.